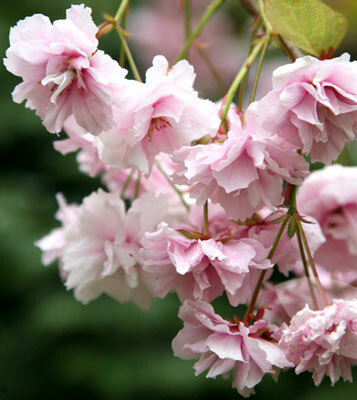 A beautiful weeping cherry renowned for its large, showy clusters of double-pink blossoms in spring. 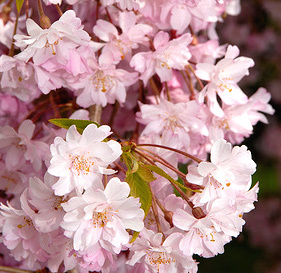 Features: Stunning blossoms. Weeping habit. Autumn colour. 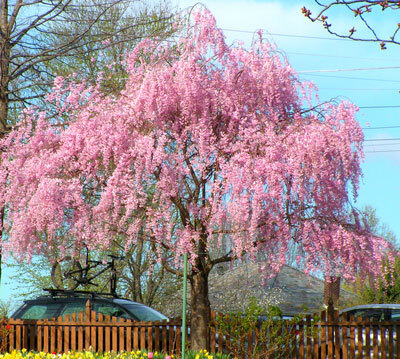 Description This is a stunning specimen weeping tree. Autumn foliage colour is yellow, orange or scarlet autumn while flowers are typically rosy-pink. Cherries are suitable as lawn specimens, but can be planted in garden beds, borders or small groves. Consider with companion plantings of azaleas and rhododendrons. It is a robust tree in suitable sites, adaptable to a range of conditions, but preferring moist, well drained fertile soils and a location with good light. 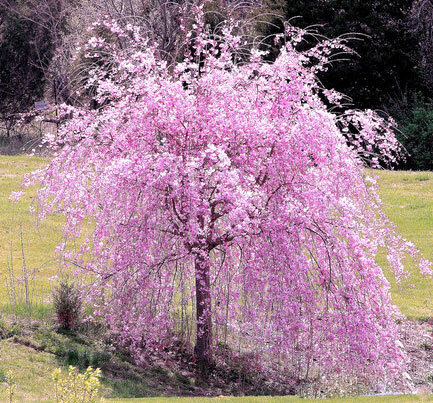 Sheltering from strong winds will help with longer retention of blossoms. Canopy: Open, weeping standard. Offers limited shade. Cautions: Remove any understock suckers. Avoid strong wind. Ornamental, not fruit-bearing.